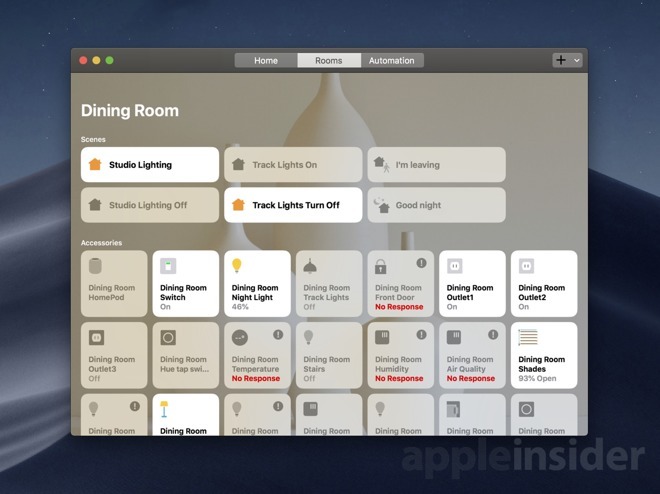 After being on iOS for years, HomeKit and the Home app have made their way to the Mac. In macOS Mojave, you can finally control your smart home right from your Mac. HomeKit is Apple's smart home platform, enabling accessories from many different manufacturers are all able to work together to run your home. It encompasses everything from light bulbs, to sprinkler systems, to locks. Before macOS Mojave, HomeKit was only available on iOS, tvOS, and watchOS, making the Mac Apple's lone standout that couldn't control your home. Mojave brings not only the app, but Siri support for the feature as well. When launching the Home app for the first time, Home asks you to enable it within iCloud settings. Then it runs through a brief setup where it downloads all your accessories, scenes, and automation. Larger homes this may take a couple minutes for all the accessories, but for most, it will be quick. After the app launches, it will be instantly familiar to anyone who has used the Home app on iOS. There is a reason for that; Apple directly ported their iOS app to the Mac. 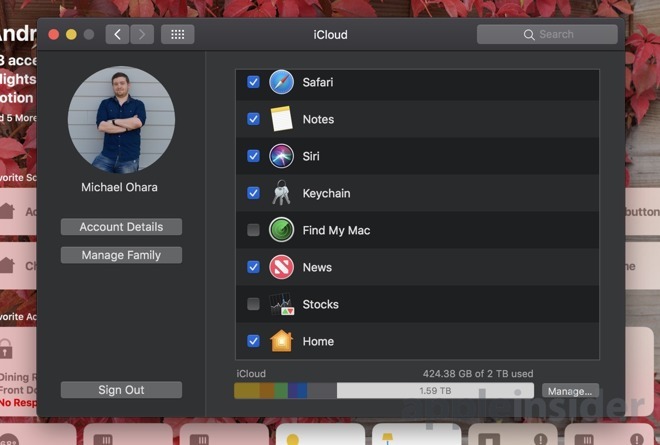 Using a new development framework that will be available to devs next year, Apple ported not just Home, but News, Stocks, and Voice Memos as well to the Mac. Since the Mac has a large screen, it is most similar to the iPad version of the Home app. Along the top are three sections: Home, Rooms, and Automation. Home gives you a birdseye view of everything going on, including your favorite scenes and accessories. Rooms are all the individual rooms in your home and can be swiped between. Automation is a list of all current automation rules and triggers that have been configured. In the top right-hand corner is + icon to add either a new Scene or a new Automation. You can't add new accessories on the Mac, a task still relegated to iPhones and iPads. To control an accessory, it can just be clicked to toggle between two states, or when you right-click, Quick Controls can be opened which has more options for certain accessories like brightness, temperature ranges, and colors. 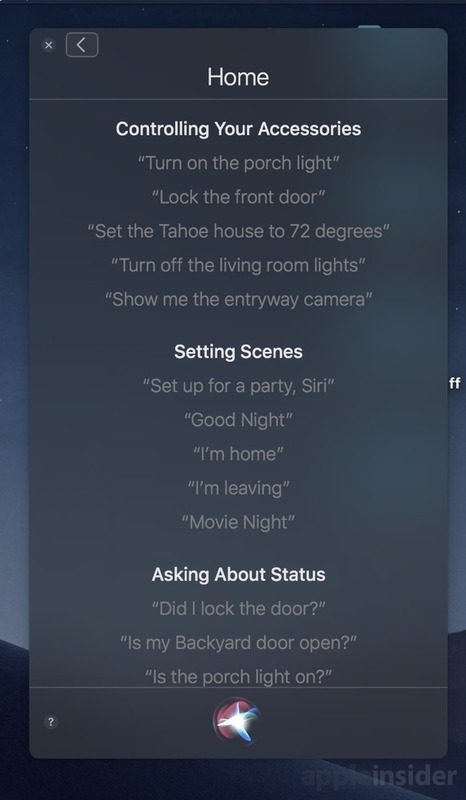 Aside from manually controlling everything in the Home app, Siri now supports HomeKit commands as well. Anything you could ask her to do to your smart home on iOS or watchOS, she can now do on the desktop. There are certainly limitations, however. Mac is only capable of handling one home at a time, where mobile you can jump between. There are also no settings available for viewing your Home Hub or making changes to your HomePod. So far at least, notifications haven't worked for us either. When creating a new automation, macOS prevents you from choosing any location-based trigger, which seems like an odd omission. Clearly, the Mac doesn't have persistent location awareness like an iPhone does, but that shouldn't stop those rules from being created. The most surprising omission, however, was the lack of AirPlay 2 functionality. AirPlay 2, which launched with iOS 11.4, tvOS 11.4, and HomePod 11.4, made a number of significant improvements over the original version of the protocol. It never made it to the Mac, assumedly because it relied on HomeKit. Now that HomeKit has come to the Mac, we steadfastly expected AirPlay 2 to arrive alongside. So far, that doesn't seem to be the case. Other than those few limitations, Home and HomeKit performed exactly as we expected them to, and is exceptionally handy for users. 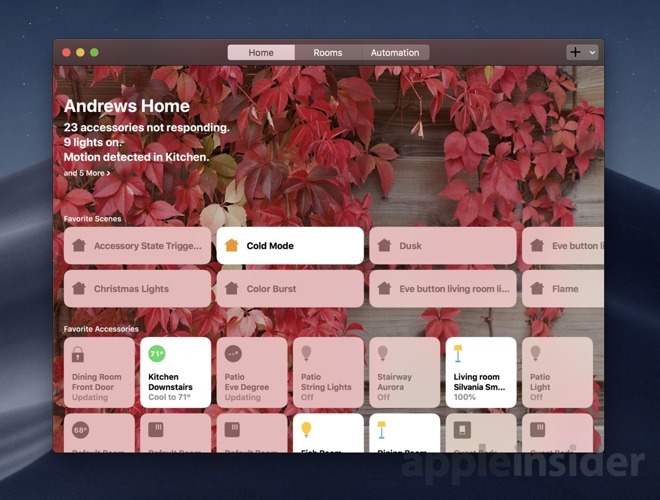 There is no word yet on whether or not third-party HomeKit apps will make their way to Mac. They may have to wait until 2019 when Apple allows iOS apps to be officially ported over to the platform.